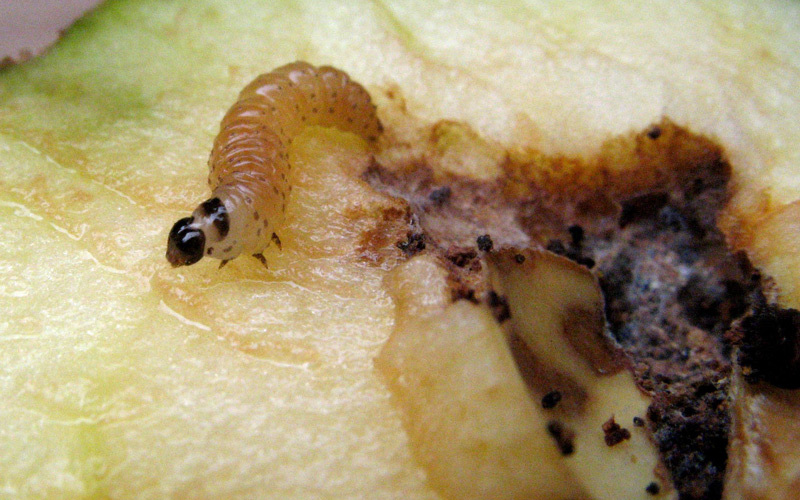 Codling Moth lay their eggs on pip fruit such as apples, pears and quince, as well as on walnuts. 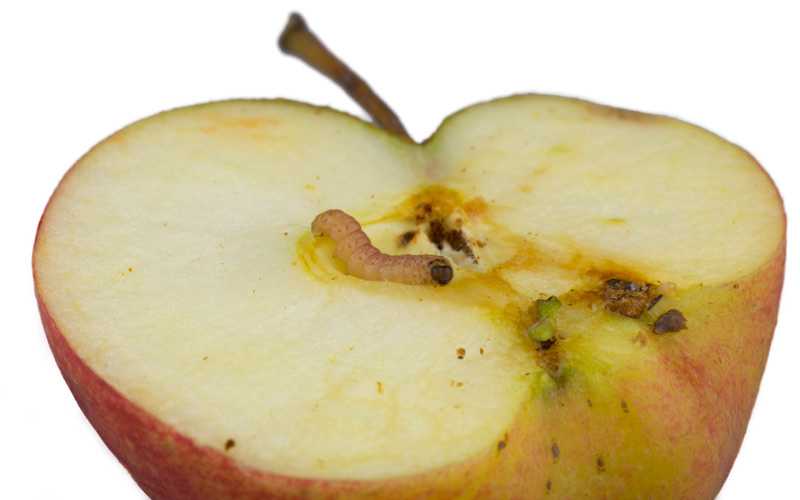 Upon hatching the larvae burrows into the fruit and then feeds on the flesh and pips for approximately 3 weeks, before leaving the fruit to pupate, or overwinter in the ground. The adult moths are 1 -2 cm long, and often hard to spot as their mottled wings blend well with tree bark. The larvae overwinter within silken cocoons in the soil, in leaf litter around the base of trees, or under loose scales of bark. 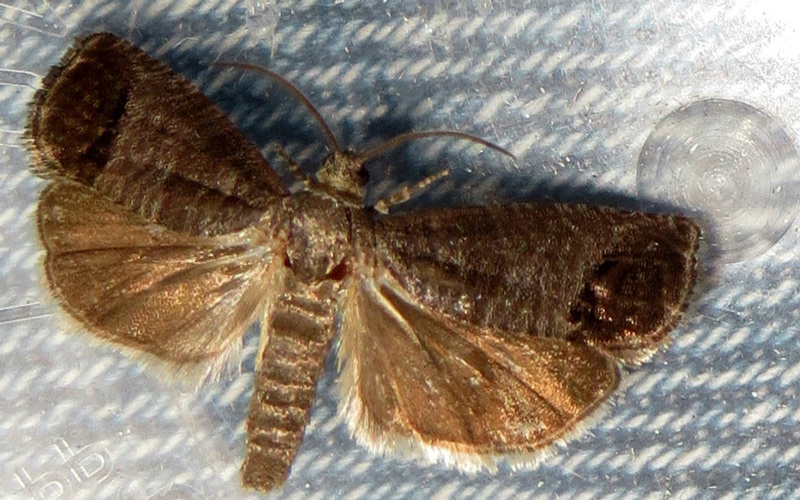 In Auckland the moths appear from September through till February, and during this period the moths mate. After mating females can lay between 30-70 tiny disc shaped eggs on the fruit, nuts, leaves and fruiting spurs. Prevention and suppressing the numbers early makes dealing with codling moths considerably easier as it can be tricky to deal with large, well established populations. If they are around it’s also worth trying to coordinate with neighbours that are growing apple, pears and walnuts. 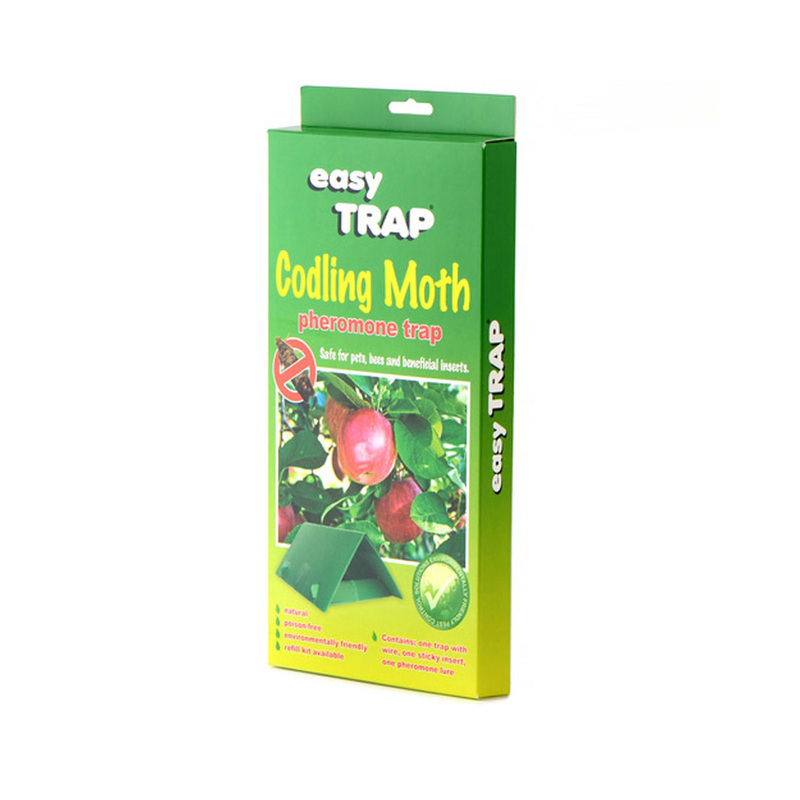 From September through till February use Codling Moth traps to monitor the number of moths present. If there are only small numbers present the trap should be sufficient to control the problem. If you catch more than 12 moths in a 2 week period, spray trees thoroughly with Success Ultra. Spray no more than 4 times in a season. Use Codling Moth Trap to monitor numbers. 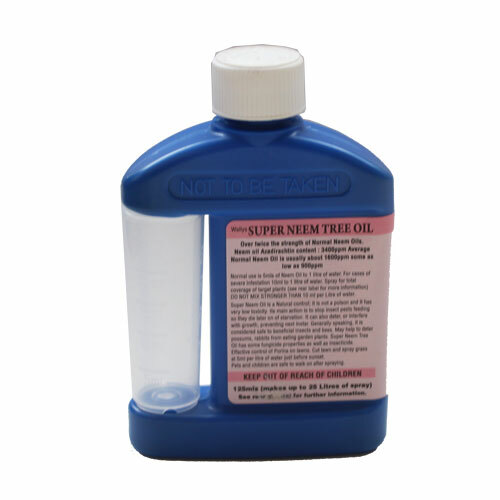 When 12 or more Moths are caught over a 2 week period, spray thoroughly with diluted Neem Oil. Repeat every 2 weeks for as long as is needed. 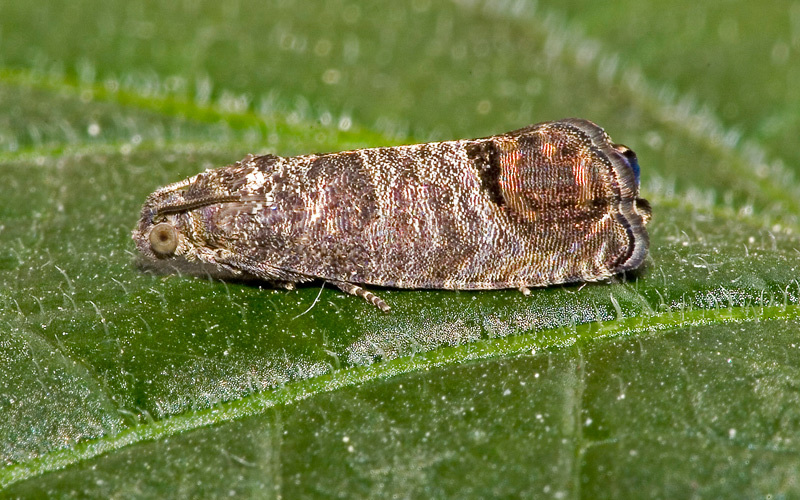 Natural protection against Codling Moth. Odourless poison-free weatherproof naturally safe for use around other beneficial insects. A natural botanical oil to assist in the control of various pest insects and some fungal diseases on roses and many other plants. Can’t find the solution to your problem? 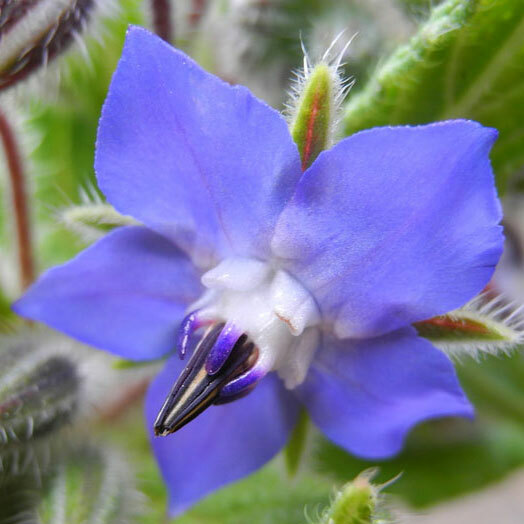 Ask our Plant Doctors a question or upload a photo and we will get back to you with a solution in no time. There are Plant Doctors in every Kings store all weekend, but you can also book a mid-week consultation. Bring in a photo and we’ll prescribe a solution on the spot! 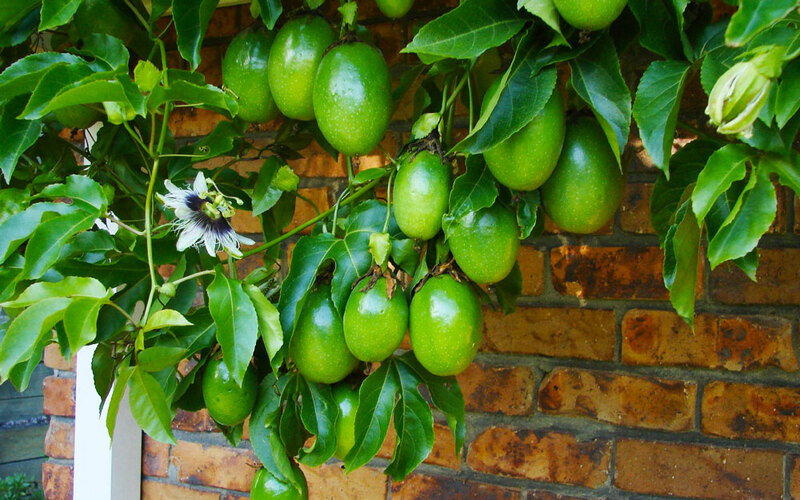 Read our top tips for growing delicious and healthy passionfruit. 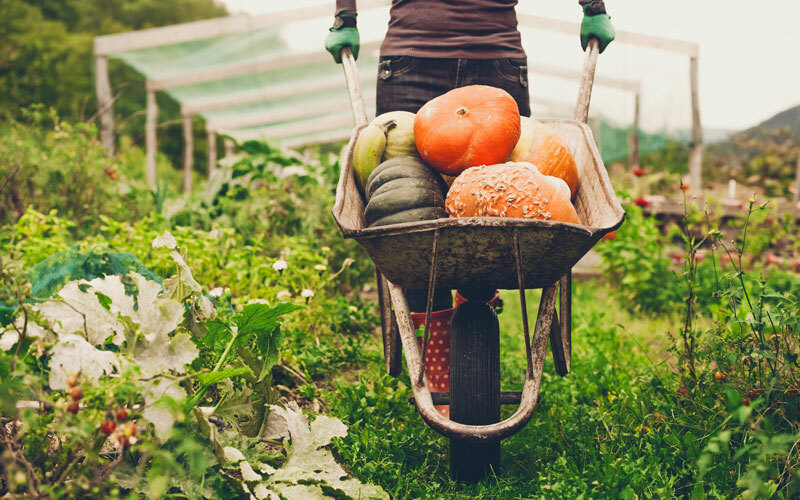 Growing companion plants in and around your veggie garden is a great way to help keep your edible plants happy and healthy. Organic growing is something that many people like, it's better for us and the environment. If only it didn't involve more work! However, this notion is a misnomer provided that we work smarter! Receive email newsletters with exclusive member only deals & events, plus earn points & convert them to cash discounts! Please prove you're not a robot. Copy the code in orange into the box below. Once you're done just press the "Submit" button to proceed. Plus check out the latest gardening news, instore events, advice and hot product offers! © Kings Plant Barn 2019. All Rights Reserved. Ask a question using the form below and one of our experts will be in touch with a solution. Yes, please send me email updates! Accepted file types: jpg, png, gif, jpeg. Kings Plant Doctors are here to help you find solutions to common insect pests, diseases and weeds in your garden. Request a free weekday consultation with a Kings Plant Doctor at your local store. Our Plant Doctors are also in store all weekend so there’s no need to book, just look out for the red shirt!